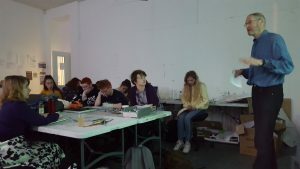 HND 1 Art students had a visit on Thursday from Professor David Wyper, an expert in advanced clinical imaging technologies. Dave has written a book called ‘Spin’ and has commissioned our learners to provide 28 illustrations to accompany his writing which will be published this summer. His purpose is to share memories of his career and raise money for brain research. 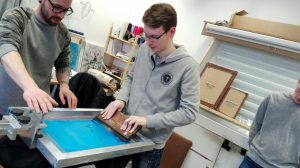 We have had a great collaboration between the HND TV students and the Art department. 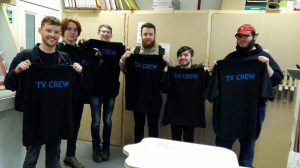 HND TV students needed TV Crew T shirts for when they were out on location or filming at an event. Stella Tobia spoke to one of the Art lecturers Alastair Strachan who put her in touch with Art technician Stevie Walker and Tobi Ayobami, one of their HNC Art students, who did the design for us. 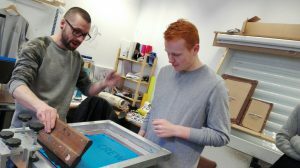 Yesterday the HND 1st and 2nd year TV students brought along a black T shirt and screenprinted them with Tobi's design, under Stevie's supervision. We're delighted with the result. Here are some photos. On Monday we had the first class in West Campus to register for the Reading Ahead challenge. 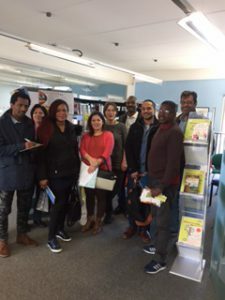 National 3 ESOL came into the library, registered, and were issued their first books. Good luck guys and enjoy the challenge!!! 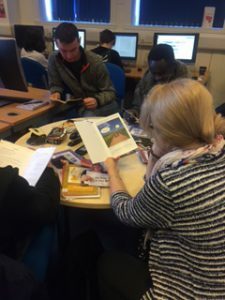 The challenge is also underway in East End Campus with National 3 ESOL. 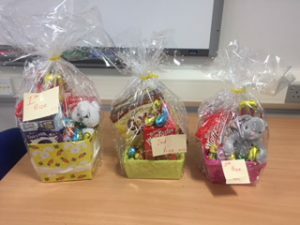 The first and second prizes have already been awarded, and book reviews have been completed. They are now on display in the library! Well done! Join the college by taking part in this year's Earth Hour 2018 - One Planet Life. Originally a symbolic lights out event, born in Sydney in 2007, Earth Hour has become the worlds largest grassroots movement for the environment. 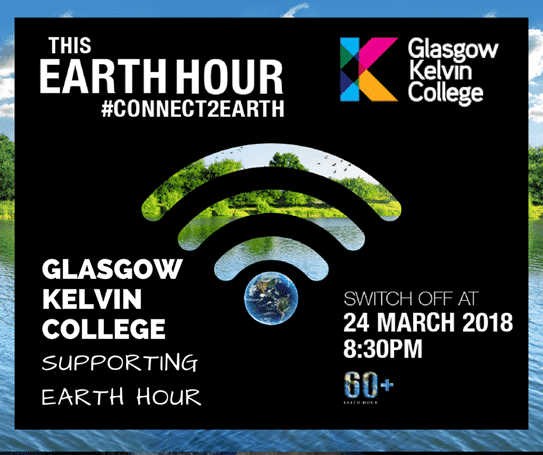 This year's event takes places on Saturday 24th March at 8.30 pm. Switch off the lights for one hour and join the celebration.